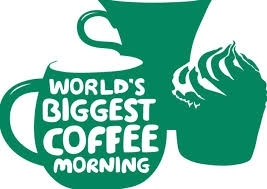 Join in the World's Biggest Coffee Morning to raise funds for MacMillan cancer support. Cofee and refreshments are being donated by Clair and David at Mr Punch. Cakes are baked and donated by volunteers from the shop and friends of Cancer Care in Javea.